Weaning Off Lexapro: How To Stop Taking Escitalopram Gradually? Escitalopram often sold under the brand name Lexapro, is a common type of antidepressant, classified as an SSRI. Learning how to wean off Lexapro is an important step to take for patients who are looking to switch to a different type of antidepressant, as well as for those patients who had been advised by their physician that they may no longer require the drug. Patients cannot stop taking Lexapro without first speaking to their physician and understanding the potential complications that may occur. Those who stopped Lexapro cold turkey are often at a risk of experiencing serious side-effects, which is why careful monitoring is often also necessary. What Is Weaning Off Lexapro? What Are The Variables That Can Affect The Duration Of Stopping Lexapro? What Are The Side Effects Of Stopping Lexapro? What Are The Dangers Of Stopping Lexapro Cold Turkey? How To Come Off Lexapro Safely? When a patient is advised that they no longer require Escitalopram or that they need to change to a different type of medication to continue treating their mental illness more effectively, they will need to learn how to taper off Lexapro. Since the drug affects chemicals in the brain, quitting Lexapro cold turkey can cause the patient to experience a significant worsening of the symptoms that are associated with their mental disorder. Thus, when a patient is advised that they need to stop using Lexapro antidepressant, then the process may take some time as they will need to wean themselves off the drug gradually. Patients who would like to know how to stop Lexapro should first understand that cold turkey is never the option. There is a procedure that needs to be followed, and a physician experienced in dealing with antidepressants should always be part of the Escitalopram weaning process. The first step is for the patient to discuss the entire process with their doctor. Their doctor will be able to assist them in identifying their Lexapro taper – factors such as what affects the patient’s taper will be taken into consideration. If the doctor did not request the cessation of the medication, they might ask the patient why they are looking to stop taking the drug. The patient should explain to them if they experienced Escitalopram sexual side effects or other types of reactions that are causing them to be concerned. In some cases, switching to a different type of antidepressant medication that does not cause these side effects may be a possibility. Patients should note that getting off Lexapro tends to take some time. They should be patient and closely adhere to the instructions that the doctor provides them. If the patient wants to know how to stop taking Lexapro 10 mg, for example, they may first be placed on a lower dose and then gradually weaned off. They will follow this new dose until they can skip a day in between each dose, and then eventually they will completely wean off Lexapro. In most cases, there will be no need for substance dependence treatment, as experiencing withdrawal symptoms with Lexapro weaning is considered normal. As long as the patient follows the instructions provided to them when they asked their doctor how to wean off Lexapro 10 mg or the specific dose they are taking, withdrawal symptoms can be kept to a minimum. 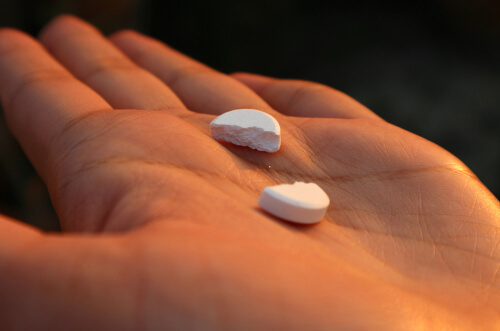 When it comes to the cessation of a drug like escitalopram, there are many varieties that need to be considered to understand how long side-effects may last and how long the weaning off period should be when discontinuing Lexapro. 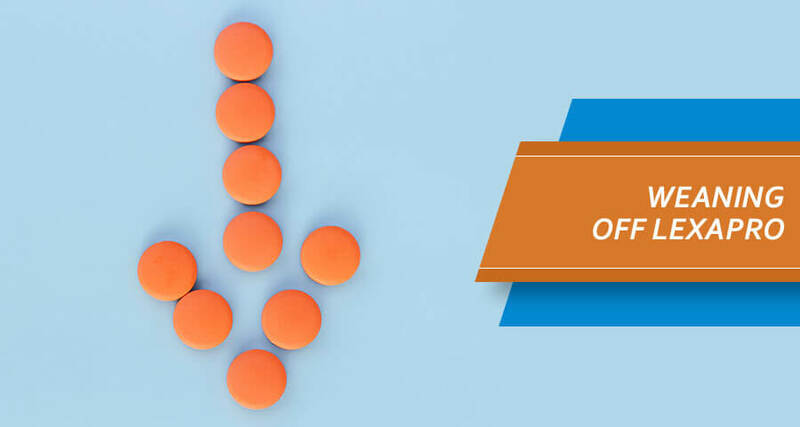 Lexapro dosages that the patient has been taking is one of the most important factors that are taken into consideration, as well as the period during which the patient has been using the medication. Both of these factors will impact the side effects of going off Lexapro. Patients who had taken higher doses of the medication and those who had been taking the drug for several years will require a more substantial amount of time to come off the drug. In addition to these factors, it should also be taken into account that each patient responds differently. Some patients may experience more severe side effects when quitting Lexapro, while others may only experience a few withdrawal symptoms. Once the use of the drug is stopped, it is also important to consider the Lexapro half-life, as there may still be traces of the compounds found in the drug in the patient’s body after their last dose. Getting off Lexapro is likely going to cause a patient to experience some side-effects. The particular side-effects depend on a variety of factors and can defer from patient-to-patient, but there are some common withdrawal symptoms that have been reported. Understanding the side effects of coming off Lexapro can help a patient be better prepared and ensure they know what to expect. When the patient knows what happens when you stop taking Lexapro, this also gives them a chance to implement appropriate strategies to help minimize withdrawal symptoms. Looking at a Lexapro withdrawal timeline can help patients better understand what types of symptoms they will experience right away and which withdrawal effects may last for a considerable period. Patients may also experience a reduction in their appetite, which is why weight loss after stopping Lexapro is also a withdrawal effect that may occur. It is never a good idea to give up Lexapro cold turkey. This can and likely will result in more severe side effects – sometimes to the degree where the patient may need to be admitted to rehabilitation institutions in their area for appropriate care and treatment. Stopping Lexapro abruptly can cause the patient to experience a relapse of the symptoms that caused them to be subscribed the antidepressant medication initially. Their symptoms may also become more severe. Stopping Lexapro side effects may be aggravated compared to weaning off gradually. Furthermore, the patient may also be at risk of experiencing a switch where their depression develops into a mental illness known as mania. To reduce Lexapro side-effects when weaning off the drug, there are many helpful tips that can be of assistance to a patient. Patients need to understand what happens if you stop taking Lexapro and also consider how the process can be done safely – a thorough education before the process will help to reduce withdrawal symptoms. Adopting healthy habits is one way that patients can ease withdrawal symptoms when they quit Lexapro. Many patients find that participating in the exercise, eating healthy, and attending to their mental health helps them when stopping taking Lexapro. Relaxation techniques, for example, can be useful for reducing the risk of anxiety and to help bring about a calmer mind. Another way that patients can become inspired and find some help is to look at getting off Lexapro success stories. There are many patients who had gone through the process of going off Lexapro – and reading about these stories can help a patient find the motivation to push through.